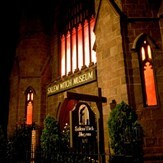 Join Martz for the Salem & Providence Halloween Tour!! We will enjoy many of the spooktacular events in Salem, a city known for their stories of "Witches", and Providence for the Jack-O'-Spectacular ! If you like Halloween, You will love this trip !! This Tour includes 4 walking tours/activities and free time in crowded urban conditions. Participants must be mobile, active and independent to fully participate and enjoy!